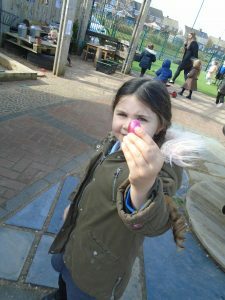 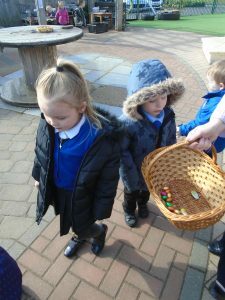 We have had a lovely week in Nursery making our Easter cards to take home today. Thank you to everyone who joined us for our stay and play on Wednesday, we hope you enjoyed it and I’m sure you will agree our Nursery children did such a great job with their singing!! 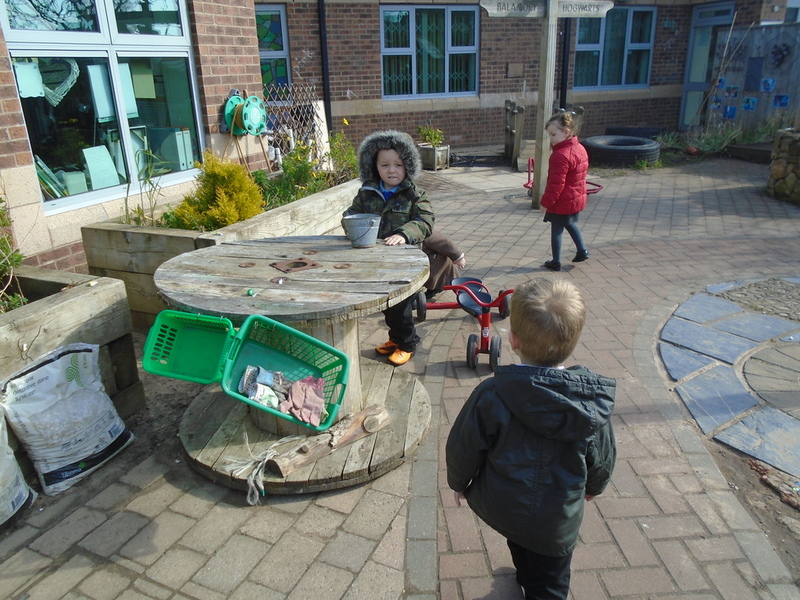 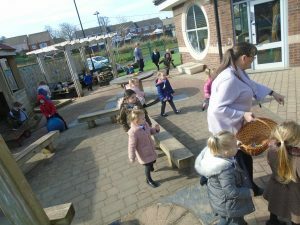 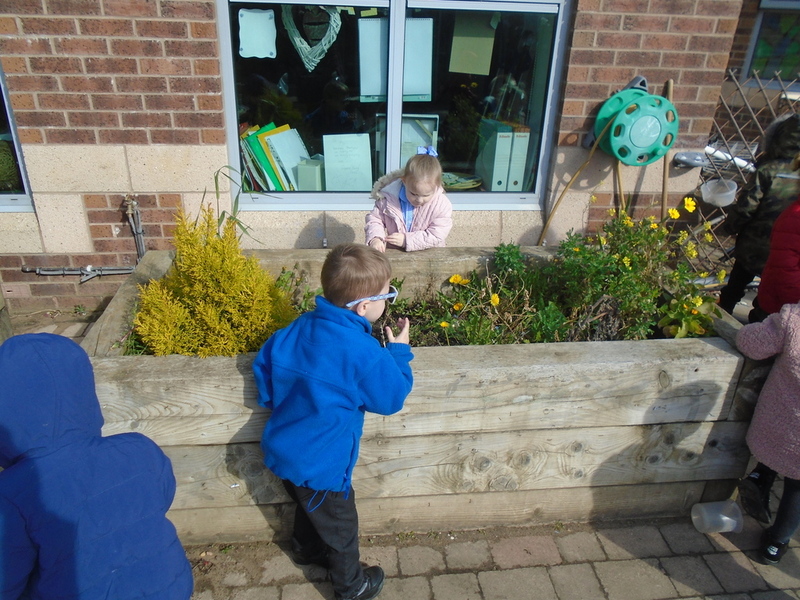 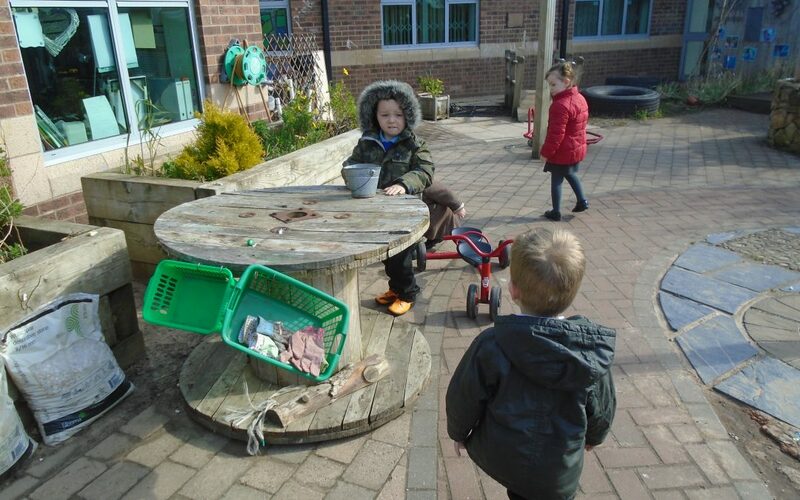 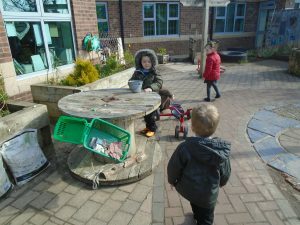 We had a special visitor in Nursery today who was kind enough to hide some chocolate treats for us to find! Hope you all have a fantastic Easter Break !